The International Labour Office is pleased to announce the ILO Centenary legal essay award for law students and young researchers. The award aims to promote outstanding scholarly work in the area of international law and strengthen the relationship between the ILO and the academic community. Candidates must be young legal professionals or enrolled in an under- or post-graduate law programme and have demonstrated experience/interest in public international law. Essays must be original, unpublished work in the field of the law of international organizations with special reference to ILO constitutional theory and practice and/or international labour standards. Essays must be written solely by the candidate, in either English, French or Spanish, and may not have been submitted for publication elsewhere. Each candidate is limited to a single submission. There is no maximum length for submission. 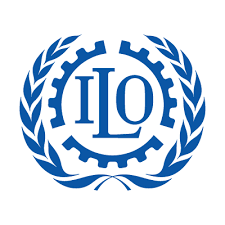 The ILO Centenary legal essay award winner will be offered a six-month internship at the ILO Office of the Legal Adviser, and travel expenses to participate in the International Conference ‘ILO100: Law for Social Justice’ of 15-17 April 2019. The winning essay will be published in the Conference proceedings and/or the International Labour Review.